The final signatory to the Declaration of Independence was one of the earliest to sign up for the Revolution. 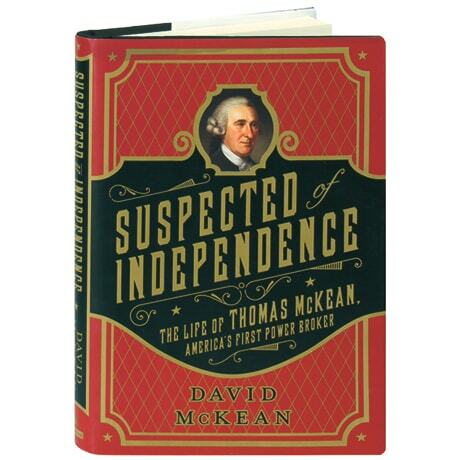 Thomas McKean lived a radical, boisterous, politically intriguing life, and knew intimately not only the heroic figures of the Revolutionary era—George Washington, John Adams, Thomas Jefferson, and Benjamin Franklin—but also the fascinating characters who fought over the political identity of the new country, including Caesar Rodney, Francis Hopkinson, and Alexander Dallas. Variously serving as a colonel in the Continental Army, president of the Continental Congress, and as the governor and the chief justice of Pennsylvania, his life uniquely intersected with the many centers of power in the country during its most formative years. McKean's descendant, and a former U.S. diplomat himself, David McKean illuminates the degree of uncertainty that characterized that new nation, unsure of its future or its identity.